Mariner East is a small family oriented resort building that is the perfect balance between being close to everything but far enough away so that you don’t spend your time stuck in traffic. Since there are only 6 floors you’re not waiting for elevators all the time. It’s easy to get to the beach and the gulf is just a few steps. 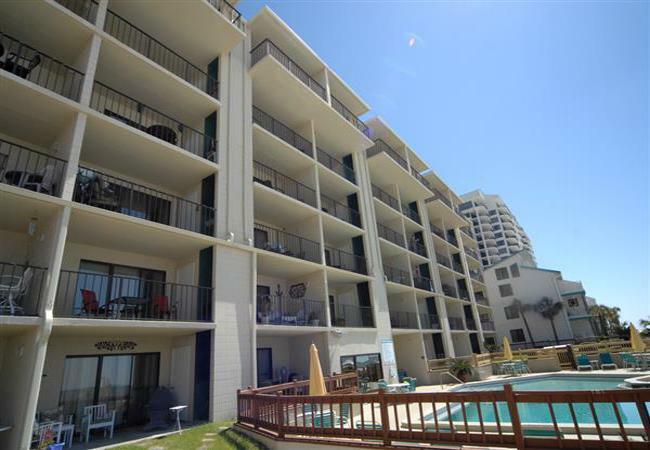 Being on the east end of Panama City Beach, you’re close to St. Andrews State Park and Shell Island. Enjoy this unique resort building that’s perfect for families. Mariner East proudly offers a combined set of unique features that make it the perfect family vacation spot. And it’s located just minutes from world-class golf, challenging sport fishing, exquisite restaurants and boutique shops.